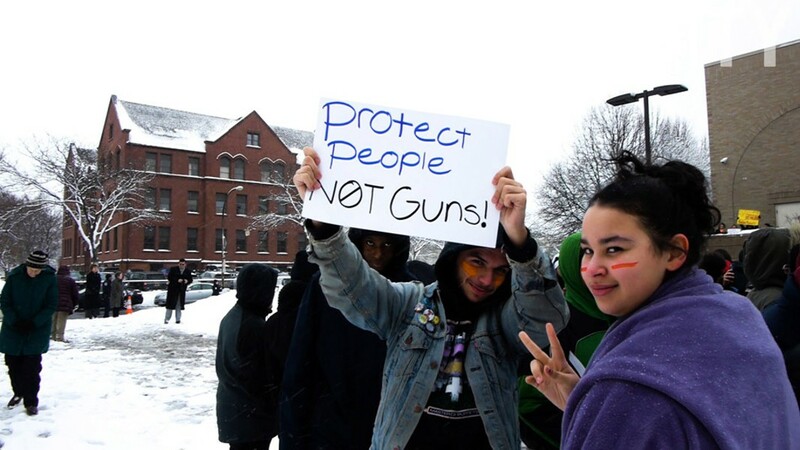 PHOTO BY KURT INDOVINA Last week, students in many Rochester-area schools participated in school walkouts to call attention to mass shootings at schools. This weekend, they'll participate in the national Walk for Our Lives protest. Students want to feel safe when they're in school, which is why so many are loudly telling lawmakers to help reduce gun violence by reforming gun laws. Last week, more than one million students across the country – including many throughout the Rochester region – walked out of their classrooms to send that message. Another round of student-organized demonstrations is happening on March 24. The national March for Our Lives will take place in Washington, D.C., and "sibling marches" are planned that day across the country. 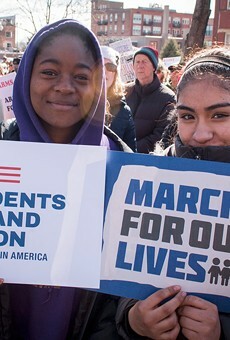 The Rochester March for Our Lives starts at 3 p.m. at Washington Square Park, 181 South Clinton Avenue; details on it and other area marches are available at marchforourlives.com. The event will have a broader focus than the walkouts, which focused on gun violence in schools, says Grace Myers, a School of the Arts senior; she and Brighton High School senior Dylan Holcomb are the chief organizers of the local march. Students will be some of the speakers and performers, so the impact of gun violence on schools is a likely topic. But some speakers will talk about how gun violence impacts Rochester neighborhoods, Myers says. Organizers also want to make the march a catalyst for political action around gun-law reform. They'll have information about reforms as well as resources to help people call or write their elected representatives. Of particular interest are several bills the State Assembly passed that would ban bump stocks, raise the age to purchase rifles from 18 to 21, and make background checks more thorough, Myers says. "We're just looking to make our communities a safer place," Myers says.